52.5 acres of prime R2 zoned land in the Charlottetown area. One of the last large parcels available to be developed in the city limits.\rZoned for R1 and R2 housing. Seller will subdivide off 2.5 acres with the older existing home from the existing 55 acre parcel at their\rexpense prior to close. 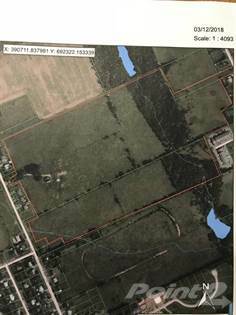 Hi, I'd like to find out more information about 45.1acres Norwood Rd. Thanks so much!